Robert F. Kennedy Jr.: Still fighting the wrong fight. Robert F. Kennedy Jr., from a 2007 visit to Urbana, Illinois. Let’s get this out of the way right at the start: I’m not a big fan of Robert F. Kennedy Jr. This is almost entirely due to his grossly erroneous belief that a preservative in some flu vaccines causes autism. This preservative, thimerosal, has been tested thoroughly by many different groups and has never been found to have any connection with autism. Got it? Vaccines don’t cause autism. It’s really that simple. Despite this, RFK Jr. continues to beat this drum. In a recent Washington Post article, journalist Keith Kloor wrote about RFK Jr.’s attempts to talk to two senators about his crusade against thimerosal and about a new book he’s published about this topic. In the past, Kloor has been pretty matter-of-fact about RFK Jr.’s bizarre claims, so I expected this would be a pretty tough profile. It wasn’t. Now, I don’t mean that Kloor treats RFK Jr. with kid gloves; the article actually shows his claims to be dead wrong and portrays him as an outcast from the mainstream. That’s all fine. I just don’t think Kloor really showed RFK Jr.’s true nature; something we here at Slate have seen for ourselves. In 2013 I wrote an article giving great details on just how over-the-top anti-vax RFK Jr. is, including his giving a talk at a rabidly anti-vax conference. After it posted, Slate got a call from RFK Jr. himself, requesting a chance to rebut over the phone. I declined; having read his writings and listened to his radio shows, I knew better than to let him rail away at me. I was right. My editor, Laura Helmuth, decided to accept the call, and was subjected to RFK Jr.’s, um, opinions, for nearly an hour. She wrote an excellent article about it, describing his conspiracy theories and how he misrepresented what scientists told him. It’s an eye-opener. Most paranoid, grandiose, relentless conspiracy theorists can’t call a meeting with a U.S. senator. Then there’s Robert F. Kennedy Jr.
… and it keeps going from there. 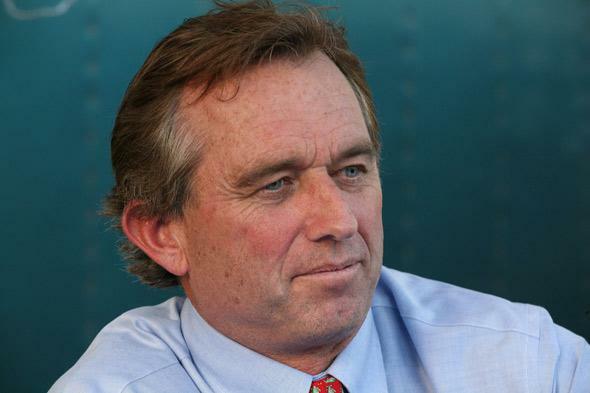 RFK Jr. has a lot of clout, quite a bit of which comes from his family name. But to me he is in the same heap as people like Jenny McCarthy—those who make baseless, unwarranted claims about vaccines, sowing doubt and fear about one of the greatest medical triumphs in human history. In fact, the similarity between the two is striking, since RFK Jr. claims—despite his own actions—that he is not “anti-vax”, a claim McCarthy recently made as well. I’ve been vaccinated my whole life, and I make sure to get my boosters as needed, too. I walk the talk. Don’t listen to people just because they have famous names. Talk to a board-certified doctor and get the facts. * To be fair, RFK Jr.’s claims relate to vaccines that contain thimerosal, which are a tiny minority. But to be completely fair a) he’s still wrong, and b) it’s all grist for the mill for the overall anti-vax movement. Wrong is wrong, and RFK Jr.’s claims are wrong.